Dr.John M George started his career as an academician with TKM College of Engineering, Kollam and retired in 2006 as P.G Professor of the Department of Mechanical Engineering after 29 years of service. He served as Principal at Musaliar College of Engineering and Technology, Pathanamthitta from 2006 to 2009 , Caarmel Engineering College, Perunad, Ranni from 2009 to 2010, and also with Bishop Jerome Institute from 2010 to 2014, before joining RSET. Having secured his Doctoral Degree from IIT-Madras in 1991, he is an active guide of PhD and had published and presented a number of research papers in the various national and international journals and seminars, besides having been part of the various research projects. 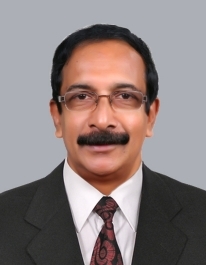 He is a Chartered Engineer (India) and Member of ASHRAE (USA), Member of IEEE, Life Member Energy Conservation Society,Kerala, Life Member Indian Society for Wind Engineering,Roorkee, Life Member ISTE,New Delhi, Life Member The combustion Institute and Fellow of the institution of Engineers,India.